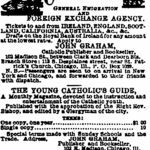 The New York Irish-American was a major weekly newspaper serving America’s ethnic Irish community. 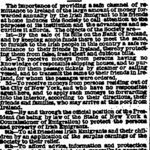 It provided thousands of emigrants across the United States with news concerning both their local communities and their former homes in Ireland. 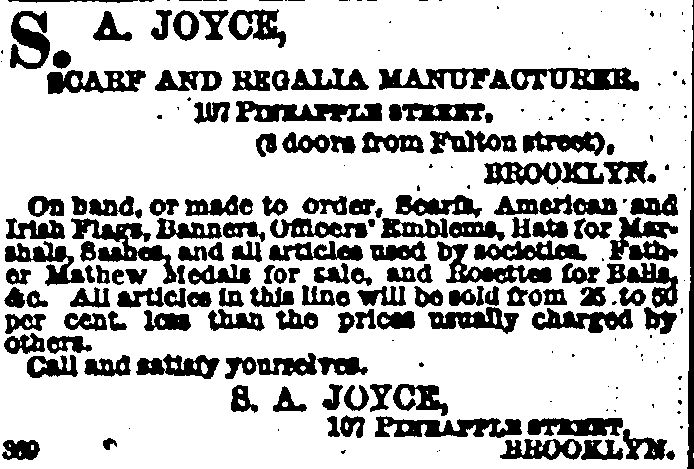 Then, as now, advertising was a major source of revenue for such publications. 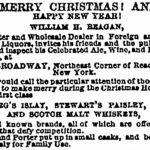 As Christmas approached, some advertisers adopted a festive theme in an effort to boost their appeal among target markets, while others undoubtedly hoped their regular ads would prove more enticing given the time of year. 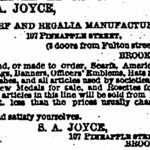 What was being advertised, and how did advertisers market their products to readers? 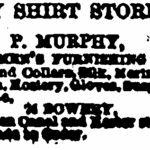 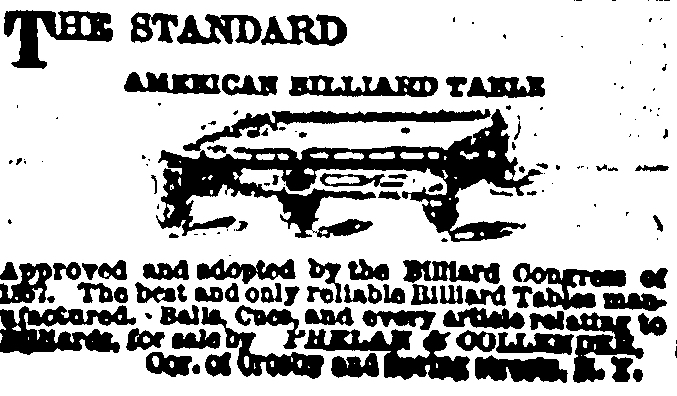 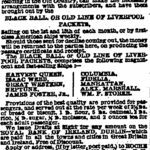 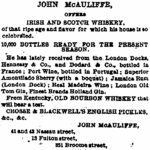 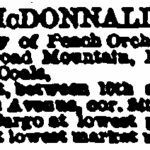 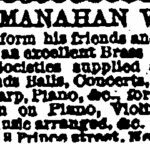 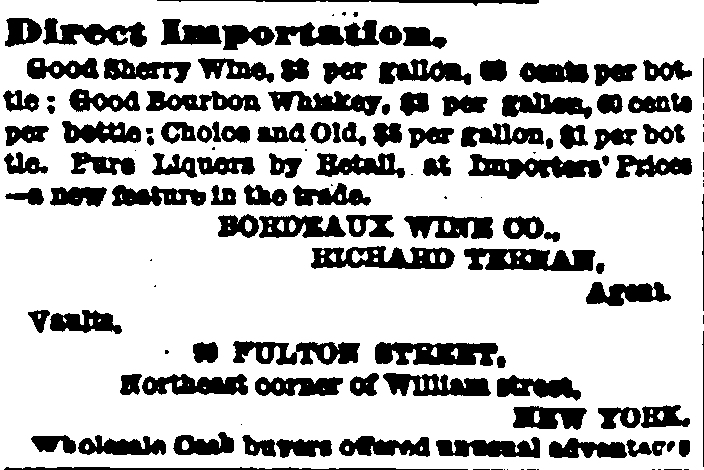 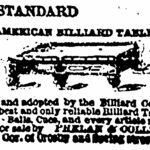 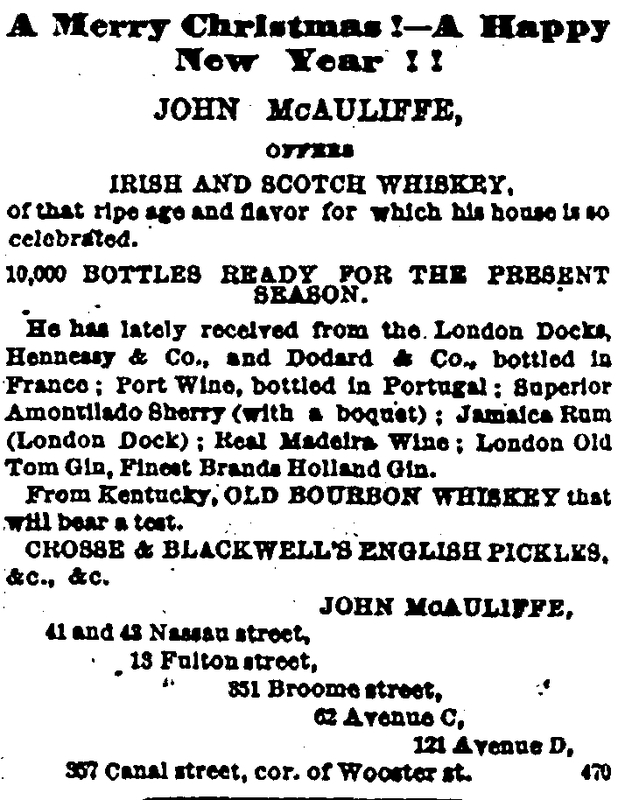 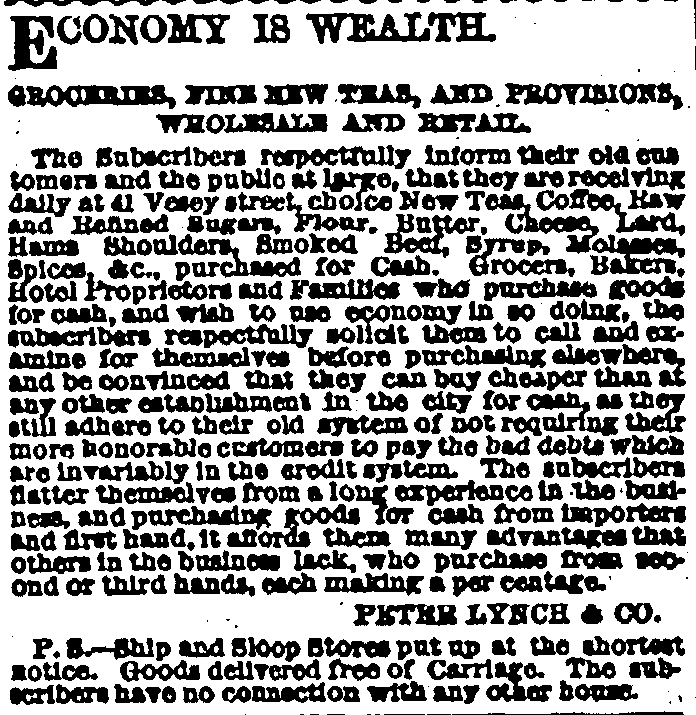 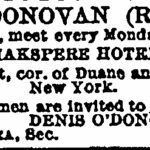 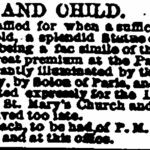 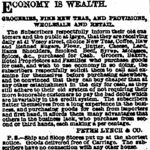 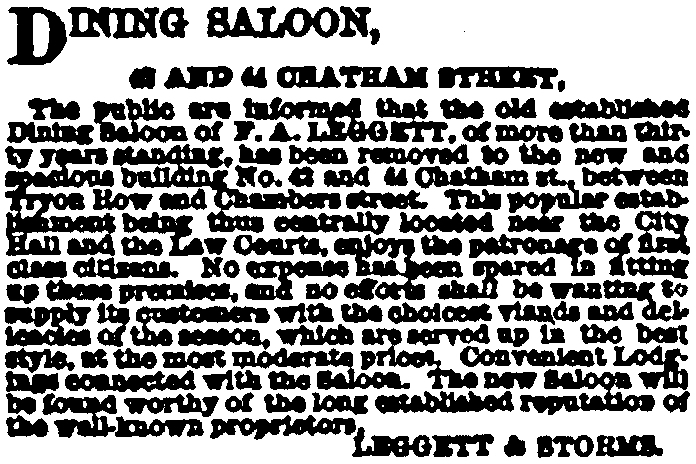 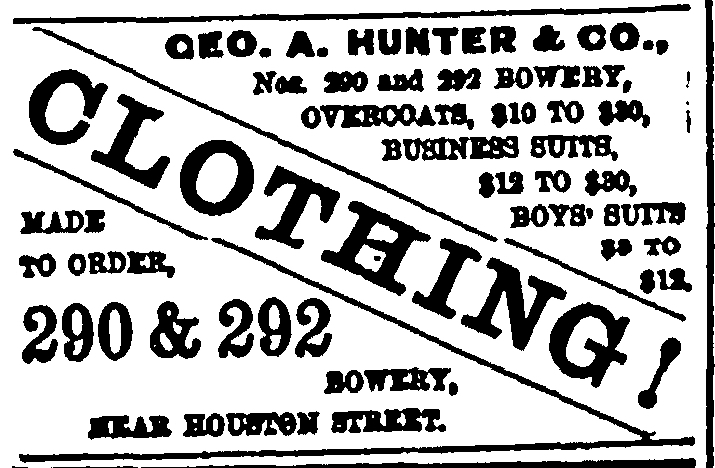 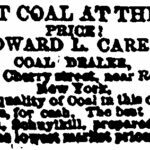 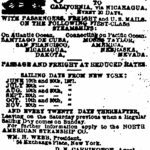 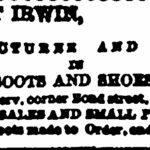 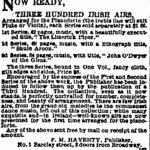 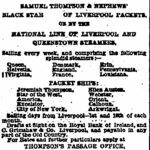 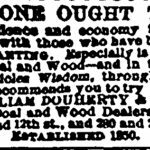 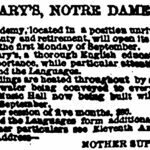 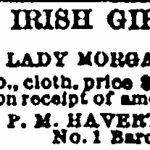 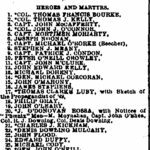 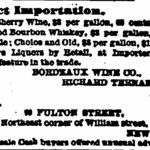 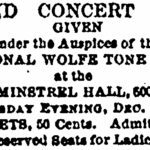 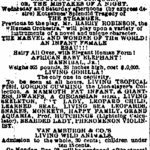 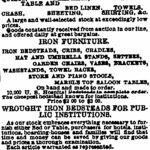 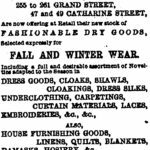 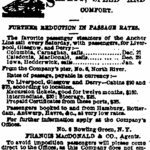 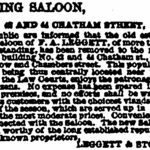 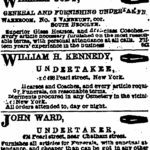 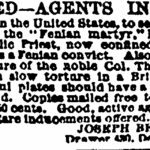 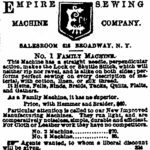 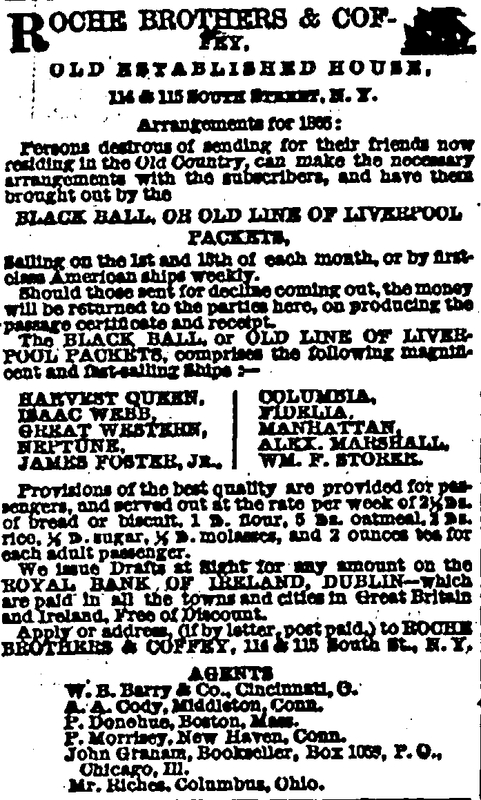 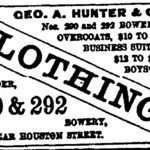 In an attempt to explore this, the new post takes a look at ads in just one issue of the Irish-American, published on 21st December 1867– 150 years ago this week. 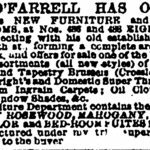 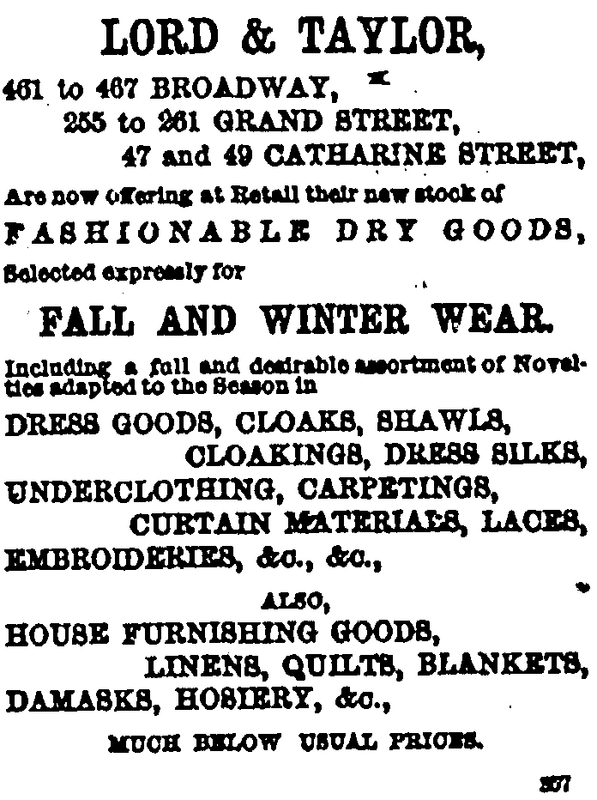 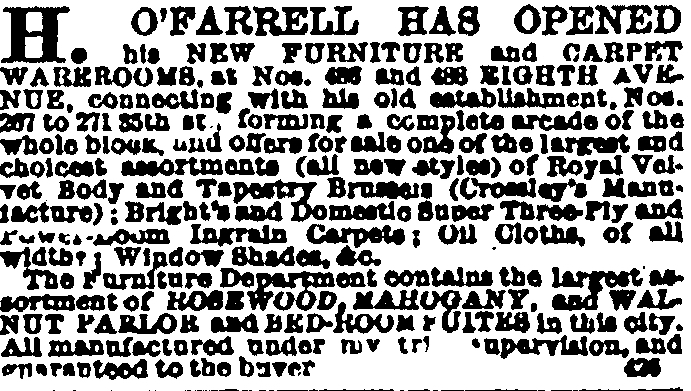 H. O’Farrell told readers of his new extended store, which now formed a complete arcade where customers could peruse a vast array of carpets and furniture suites. 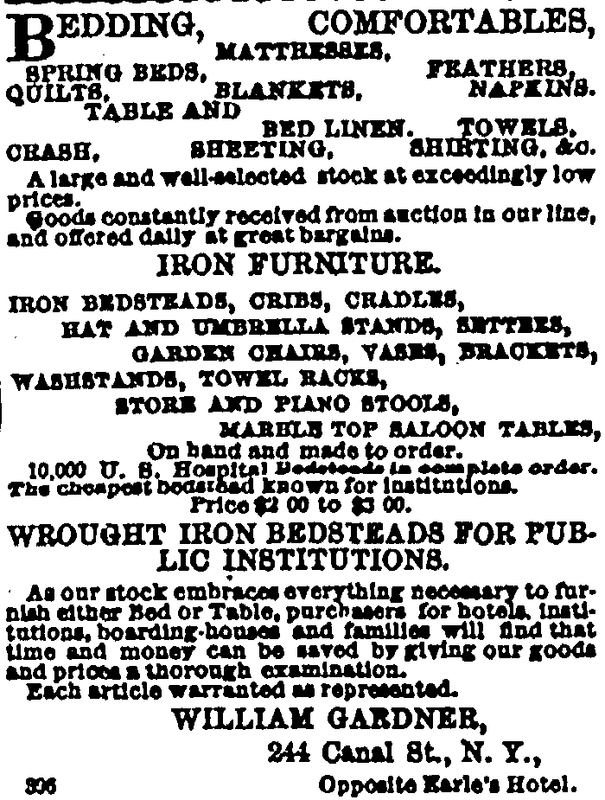 William Gardner offered his customers beds and bedding, and was prepared to fill major orders as well as small ones, having recently completed 10,000 bedsteads for U.S. hospitals. 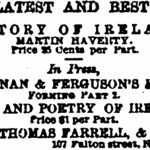 Many of the readers of the Irish-American were well to-do and had higher literacy levels than their fellow immigrants. 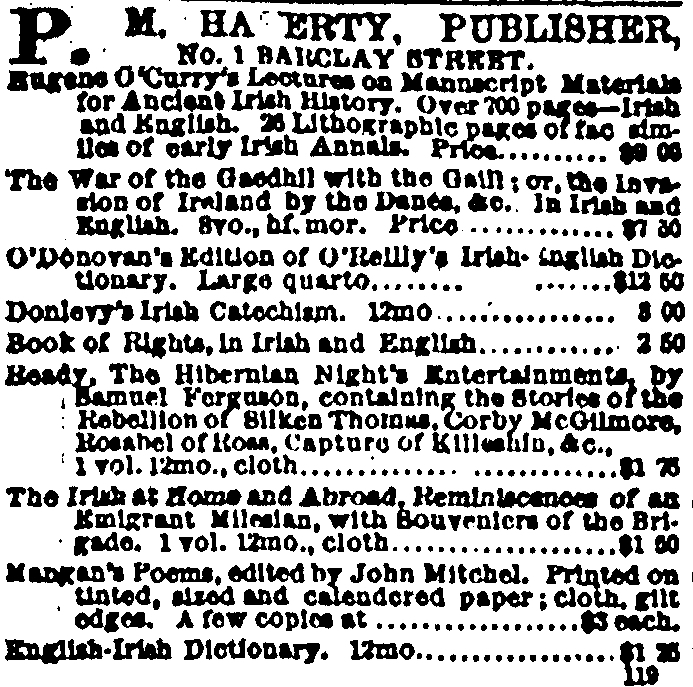 Advertisements for books were commonplace, particularly those with Irish and religious themes. 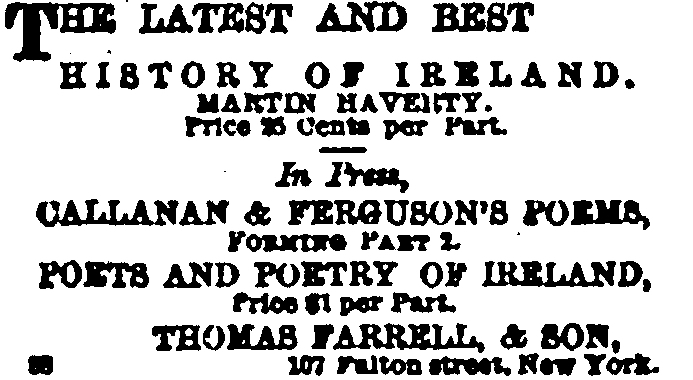 Without a doubt the big publication of 1867 was John Savage’s Fenian Heroes & Martyrs, which charted major figures in the Fenian movement and remains an important reference work today. 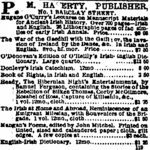 P.M. Haverty produced copious quantities of Irish-themed works, and offered history-based books such as Eugene O’Curry’s Lectures of Manuscript Materials for Ancient Irish History and The War of the Gaedhil with the Gaill. 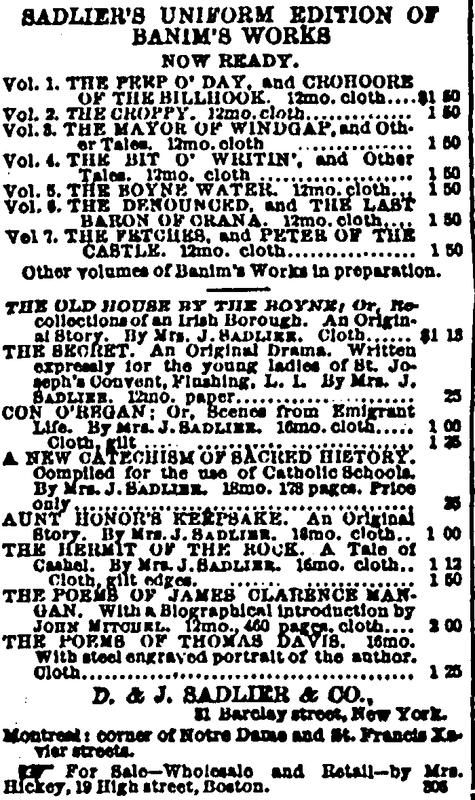 Sadlier & Company appealed to the spiritual market with Catholic Anecdotes and The Christian Armed Against the Seductions of the World and the Illusions of His Own Heart, but also carried The Poems of Thomas Davis and the Old House by the Boyne. 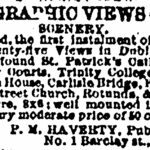 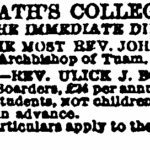 For those seeking writings in their native tongue, Mullany advertised the Reverend Bourke’s Works in the Irish Language. 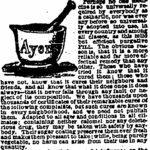 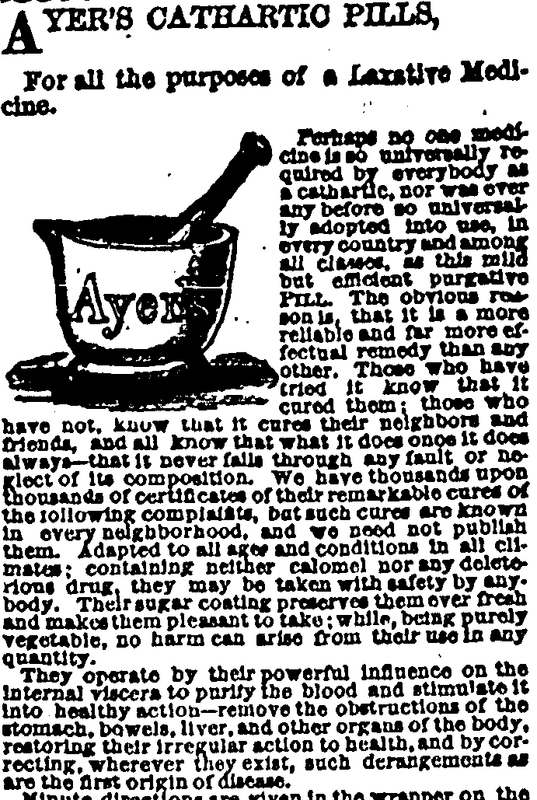 Few forms of advertisements dominate 1860s newspapers more than those offering medicinal products. 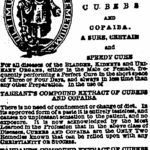 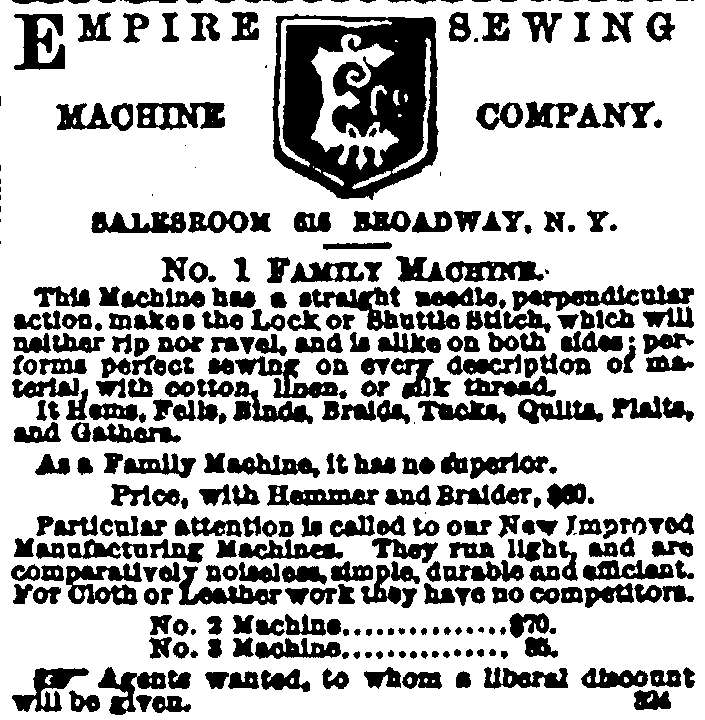 No claims were seen as too outlandish for those in the trade, often in the full knowledge that their products could do little of what they promised. 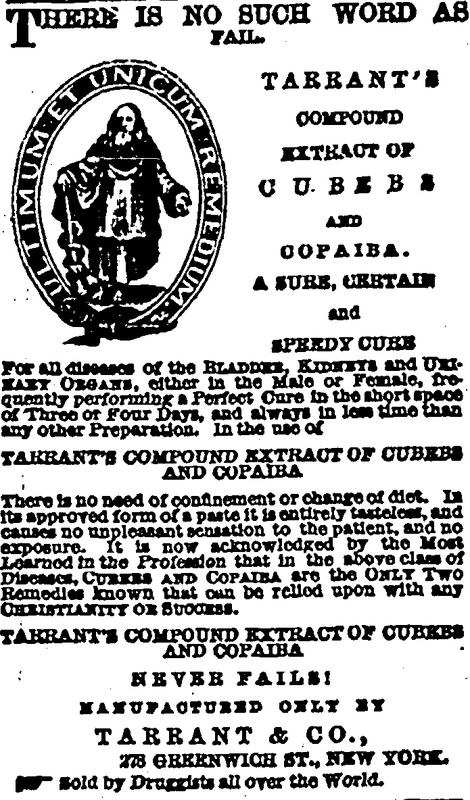 Those desperate for relief were willing to try all they could in search of a remedy. 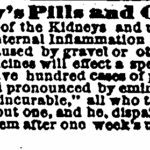 Holloway’s were one of the major players, with their pills seeking to help those with inflammation of the kidneys and urino-genital organs. 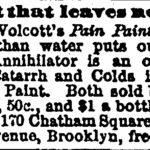 Dr. Wolcott’s Pain Paint and Dr. Wolcott’s Annihilator claimed to stop “pain more sure than water puts out fire.” Ayer’s Cathartic Pills were aimed at those seeking a laxative, while Tarrant’s Compound Extract advertised itself under the banner “Ultimum et Unicum Remedium” (The Last and Only Remedy), for diseases of the bladder, kidneys and urinary organs. 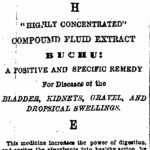 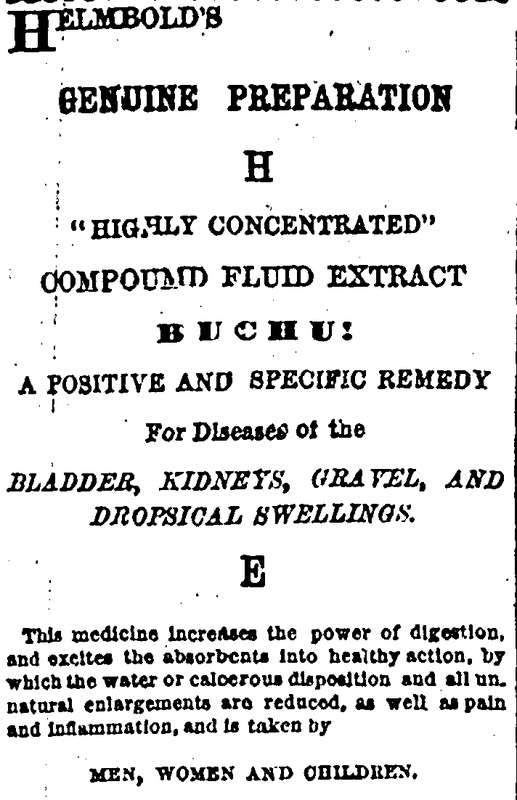 Helmbod’s Buchu was yet another to offer assistance with “bladder, kidneys, gravel, and dropsical swellings,” evidence of how extremely common such ailments were in this period. 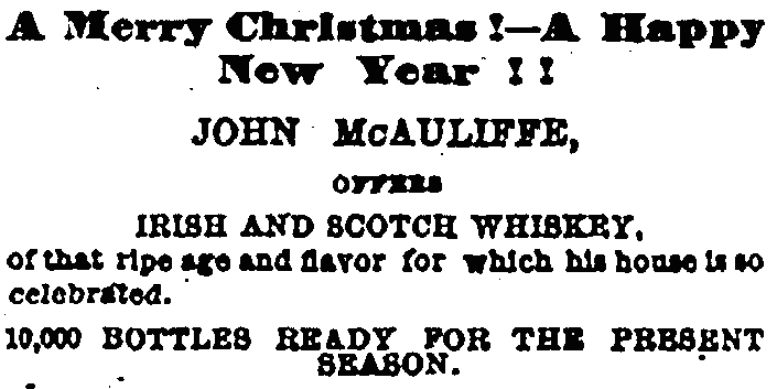 The last class of advertisement to examine is also the most frequent in the Irish-American. 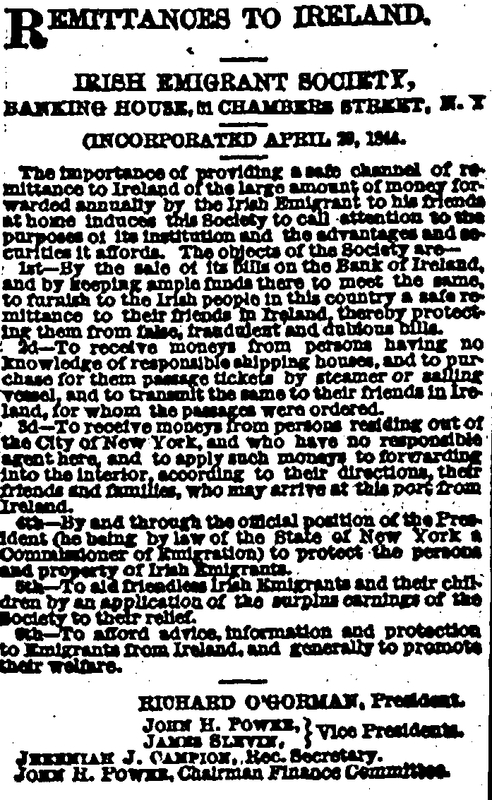 They are those offering passage for emigrants, and services to remit money from America back to Ireland. 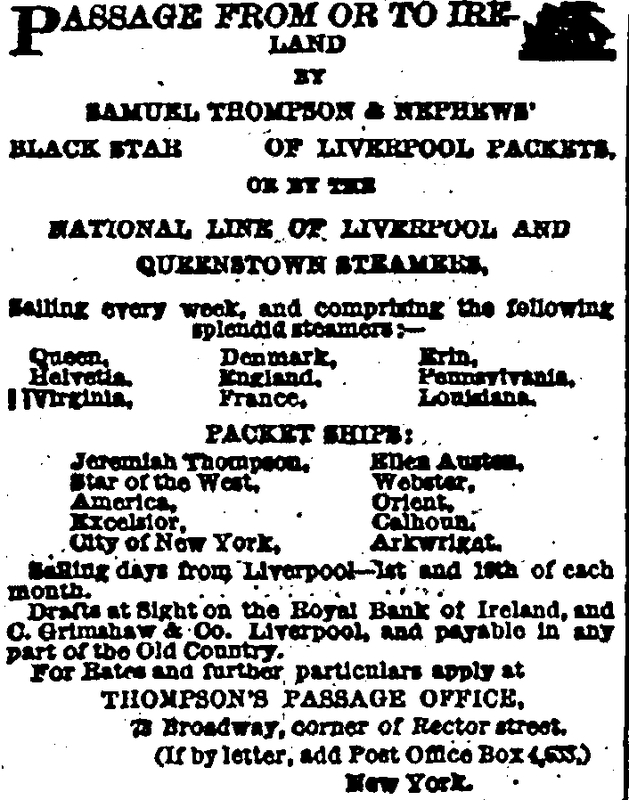 Competing lines offered everything from tickets to California for those seeking to move West or, for those who had done well, opportunities to visit Europe once more. 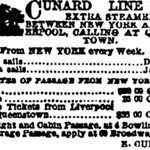 Among them are names that remain familiar, such as the Cunard Line. 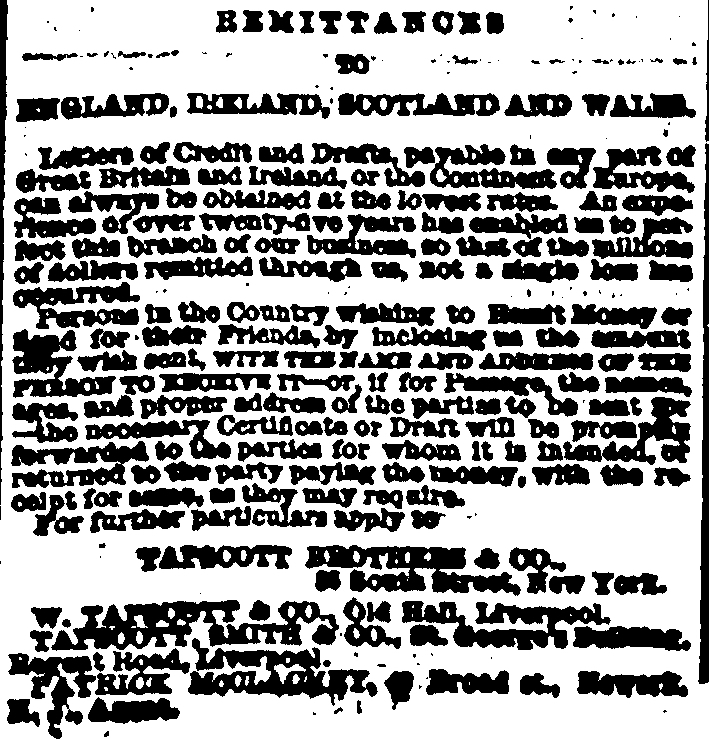 Most offered those in America and opportunity to buy tickets for family members still in Ireland or Britain. 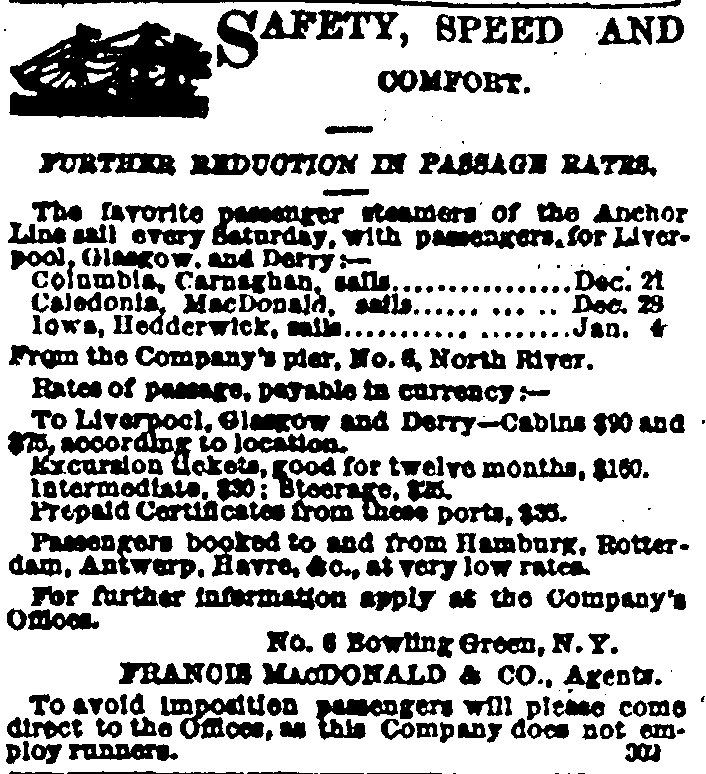 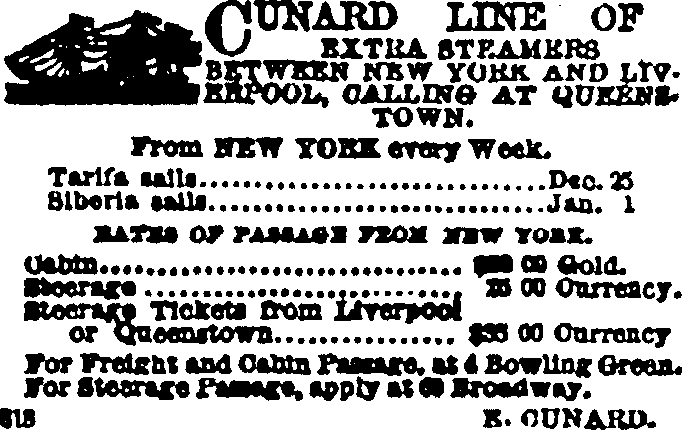 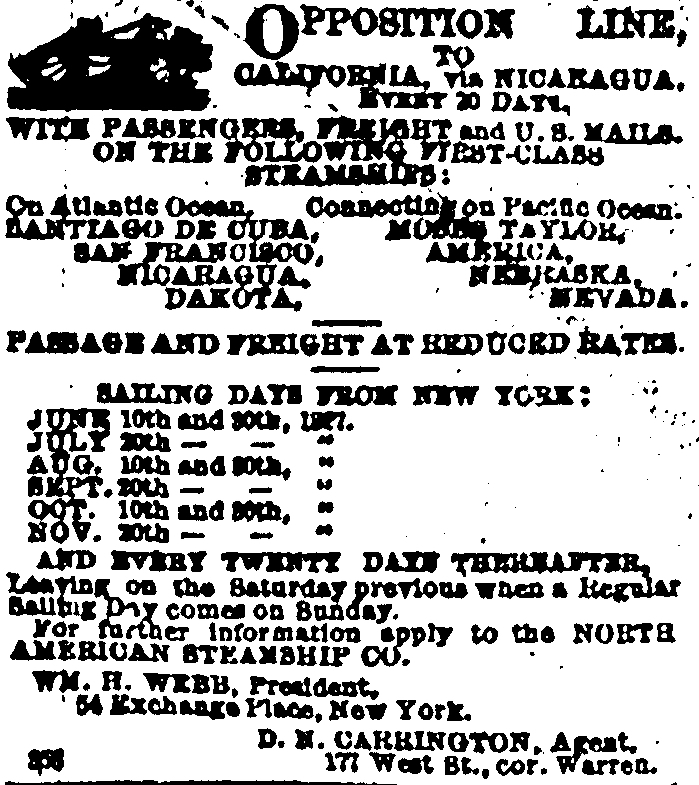 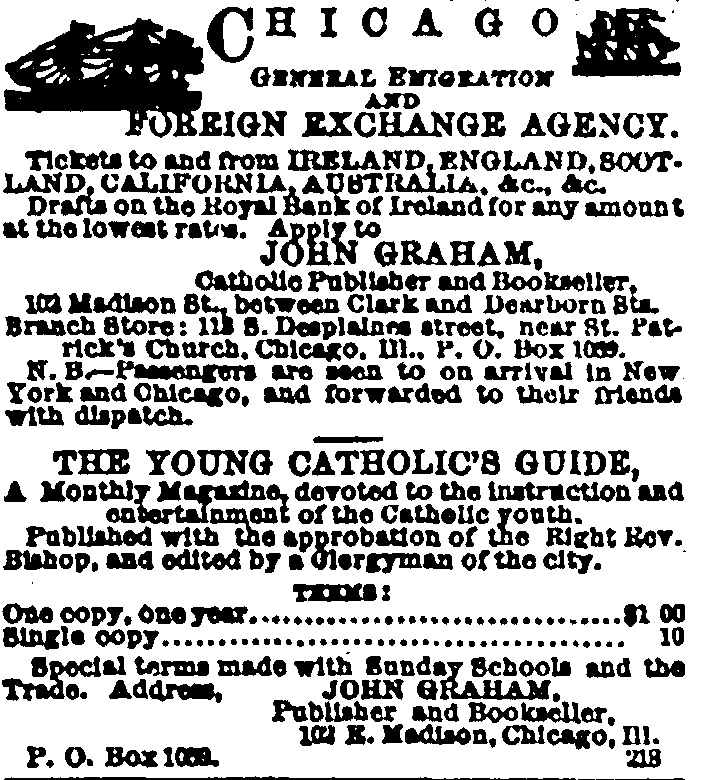 John Graham of Chicago not only sold tickets but was also a publisher, advertising his “Young Catholic’s Guide” magazine side-by-side with his promise that “passengers are seen to on arrival in New York and Chicago, and forwarded to their friends with dispatch.” Sending money back to Ireland was an obligation many immigrants had to fulfil. 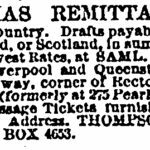 Thompsons Passage Office specifically advertised “Christmas Remittances to the Old Country,” highlighting the increased traffic in money that accompanied the Season. 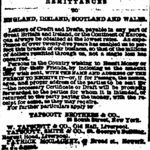 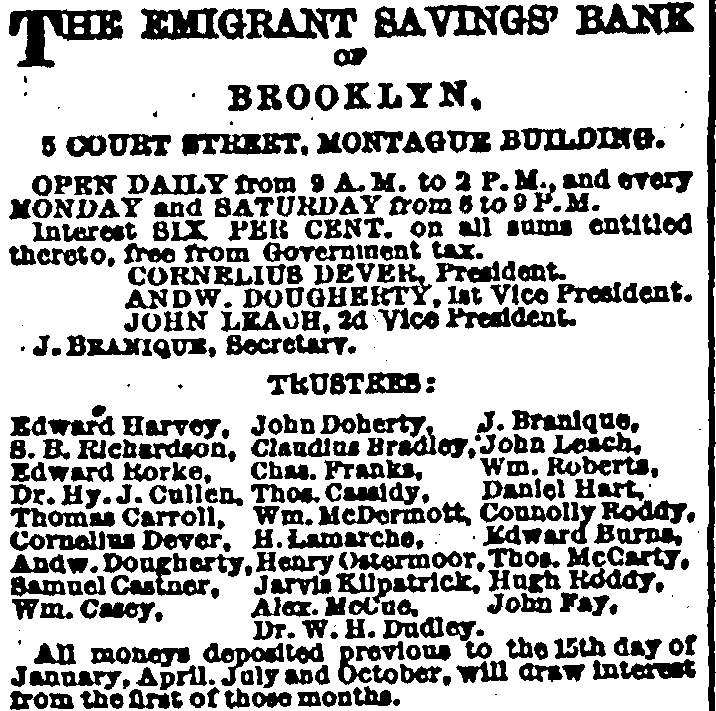 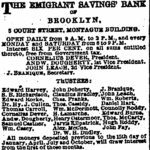 The Emigrant Savings’ Bank was the method through which many Irish saved money for themselves as well as those at home, and they laid out in extensive detail how they remitted money to Ireland, funds that proved so vital for sustaining those at home. 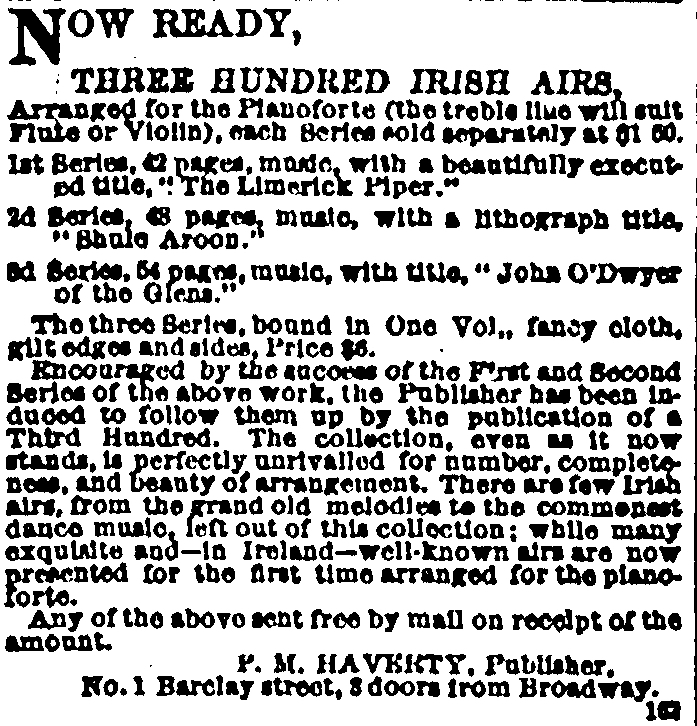 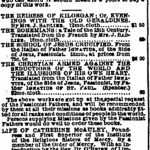 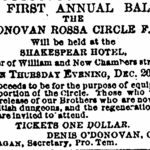 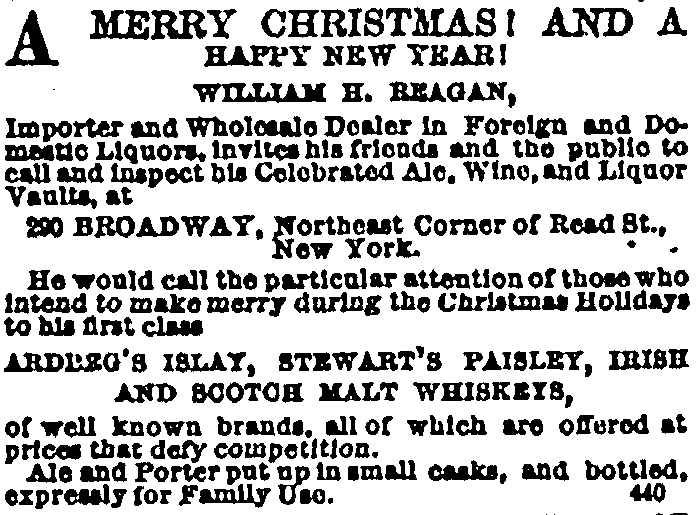 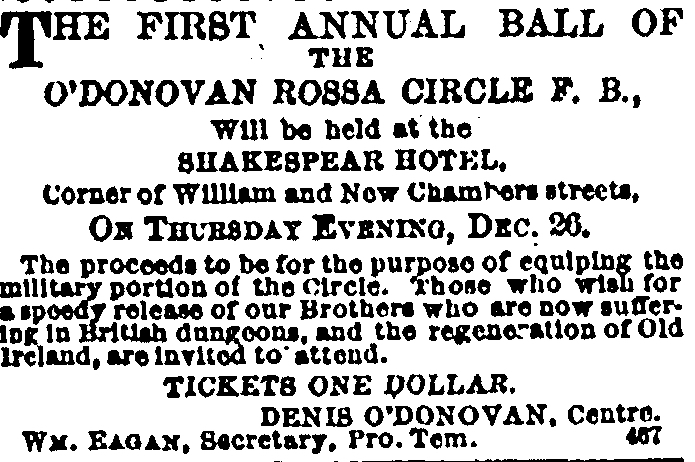 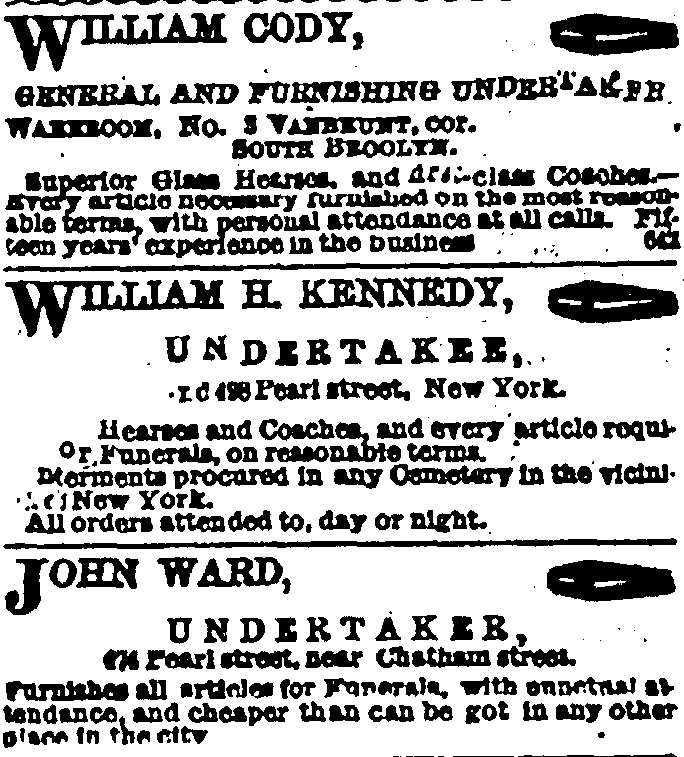 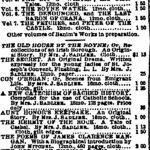 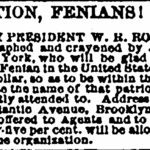 New York Irish American Weekly, 21st December 1867.